The Union Pacific Locomotive No. 4141 is being prepared for President George H.W. 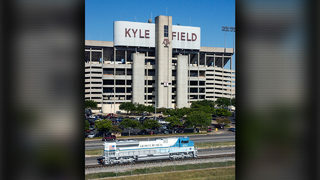 Bush's final journey from the Houston area to College Station. The train was dedicated to President Bush in 2005 at the Bush Library, where he will be buried Thursday. The route will start early Thursday afternoon and travel about 75 miles over a period of two and a half hours. Old Town Spring is the first town along the 75-mile long journey, and Jana Valentine, along with other business owners, said she’ll be waiting to say her goodbyes the former president. It is expected to arrive around 3:45 p.m.
Raquel Espinoza, director of corporate communications with Union Pacific Railroad, said the train will slow down through such towns as Old Town Spring, Magnolia and Navasota. "This gives our community, Texans, an opportunity to pay their final respects to President Bush," Espinoza said. Many of the small towns are organizing events to watch the train pass through. Hundreds of Union Pacific workers are helping to coordinate and organize all facets of transport. "This is a very special moment for the country and for us as a company as well," Espinoza said. "No detail will be overlooked." Only cross railroad tracks at designated crossings. Designated crossings are marked by a sign, lights or a gate. Look both ways before crossing railroad tracks. Remember, trains can come from either direction at any time. Keep a safe distance between you and the tracks when a train approaches. Trains are three feet wider than the rails. Avoid distractions including loud music, texting or talking on cellphones. Look up and listen for train horns. The unveiling of 4141 marked only the sixth time in history that Union Pacific painted a locomotive something other than their traditional colors. 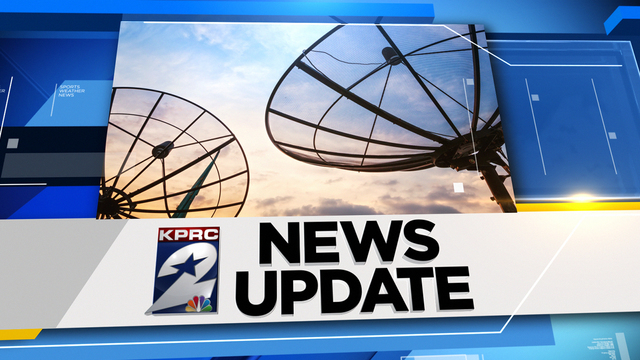 Navasota Independent School District announced there will be an early dismissal for students in the district. Resident Roxanne Smith said she might tear up a little when she pays her respects to a man and leader she greatly admired. “It’s a privilege, definitely, and an honor when you think about it. You don’t really get to see a president processional go through, or by. The fact it's going through Navasota or small towns nearby ... its exciting to just be a part of that history,” Smith said. READ MORE ABOUT THE TRAIN HERE.